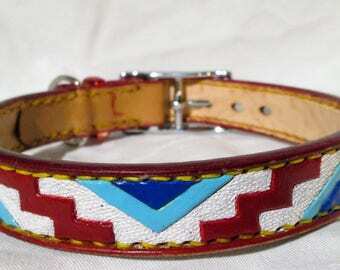 Handmade leather dog collar, hand tooled oak leaf theme in fall colors. It's 2" wide, 1 1/2" stylish tapered ends with a best fit neck size at 22.5" would be great for Alaskan Malamutes, American and English Bulldogs, English and Irish Setters, Giant Schnauzers and Dobermans. Starting with hand cut straps of 13 oz. saddle skirting and 3 - 4 oz. 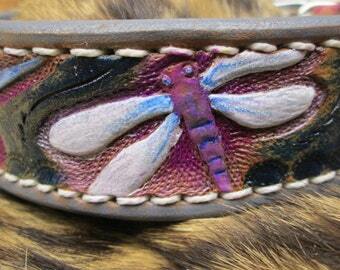 vegetable tanned leathers are glued together, hand tooled oak leaves and acorns for fall. Next the collars oiled to add to the water resistance, edges beveled and hand stitched in Arctic white waxed linen thread really contrasts on the hand dyed black background. 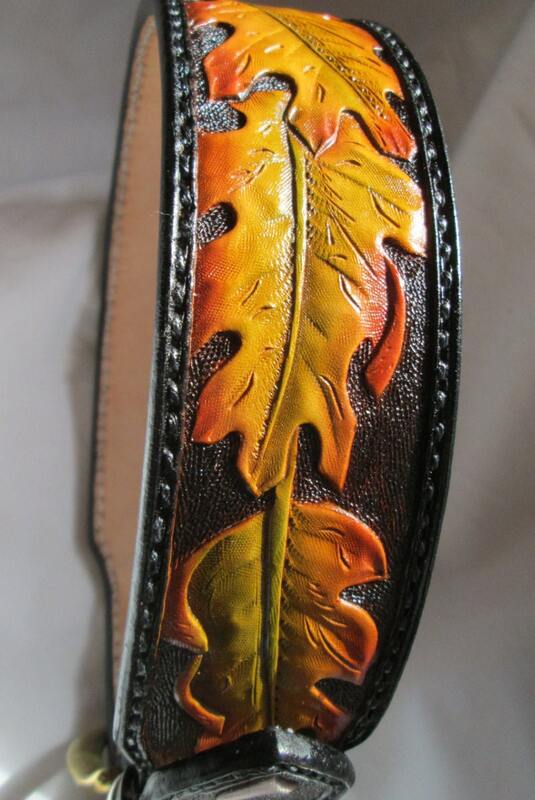 The oak leaves are airbrushed in fall colors and really pop! The edges are then burnished to perfection The collar has 5 holes on 1" centers starting at 20.5 thru 24.5" or 52.07 thru 62.23 cm. 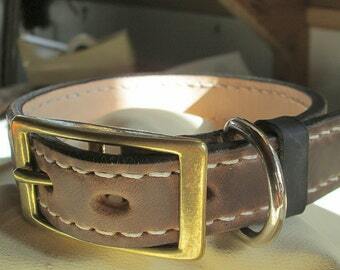 The 1 1/2 buckle is solid brass, a welded metal d ring and matching leather keeper. 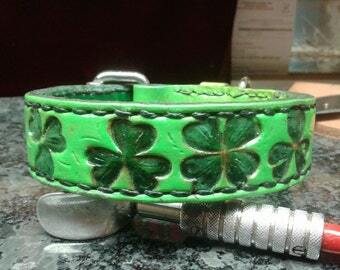 Finally it's entirely inspected being a perfectionist, and coated with a poly kote finish. 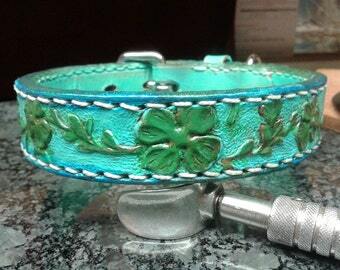 Thank you stopping in and checking out this fall beauty collar.